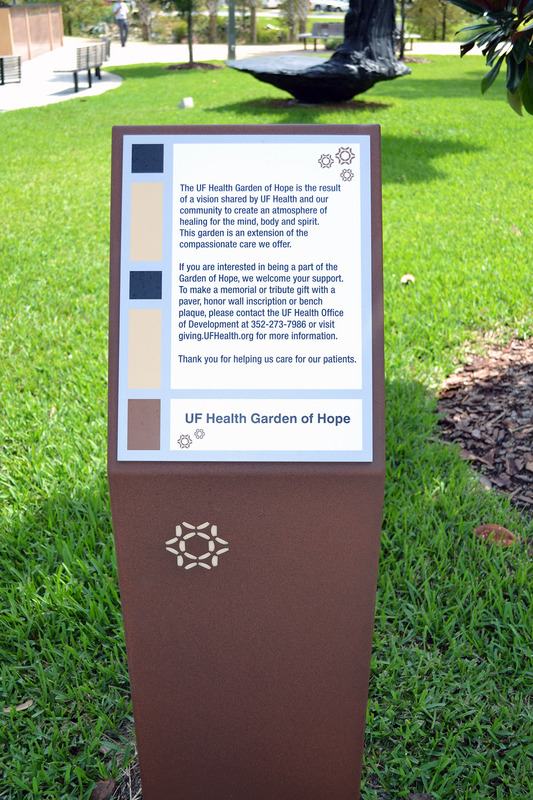 The Garden of Hope is a place for patients at UF Health Shands Cancer Hospital and their loved ones to find peace and serenity outside of the hospital. We hope you understand that there is still much work to be done, and you can still become part of the Garden of Hope. 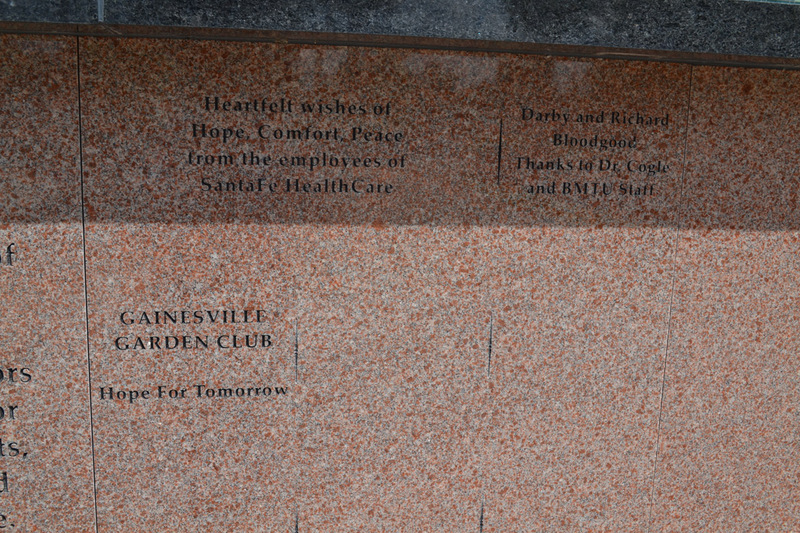 The memorial wall at the Garden of Hope. 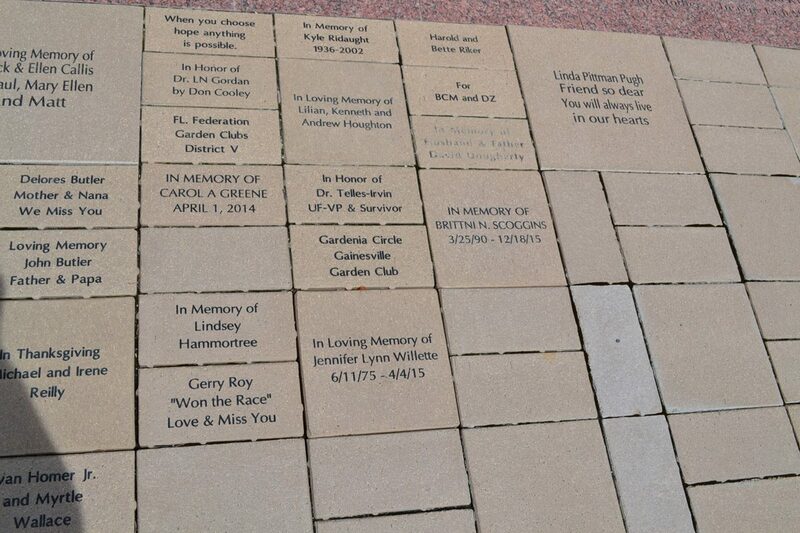 Brick pavers found throughout the garden. 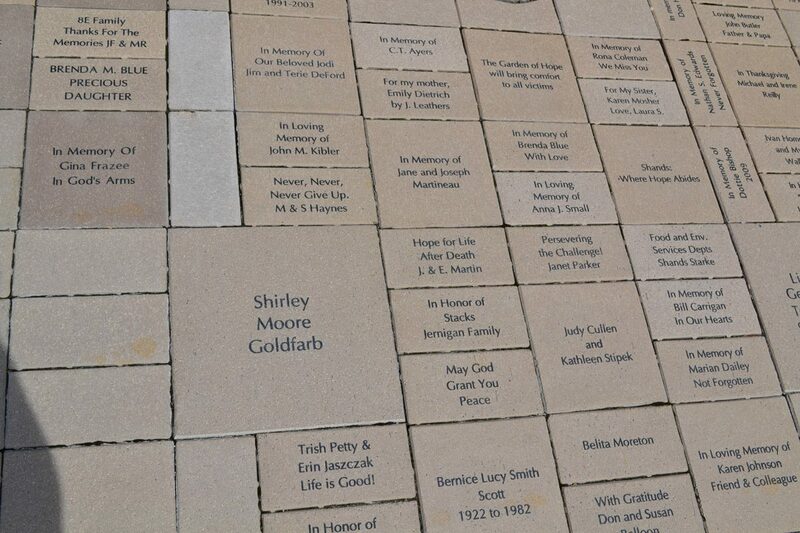 More brick pavers found throughout the garden. 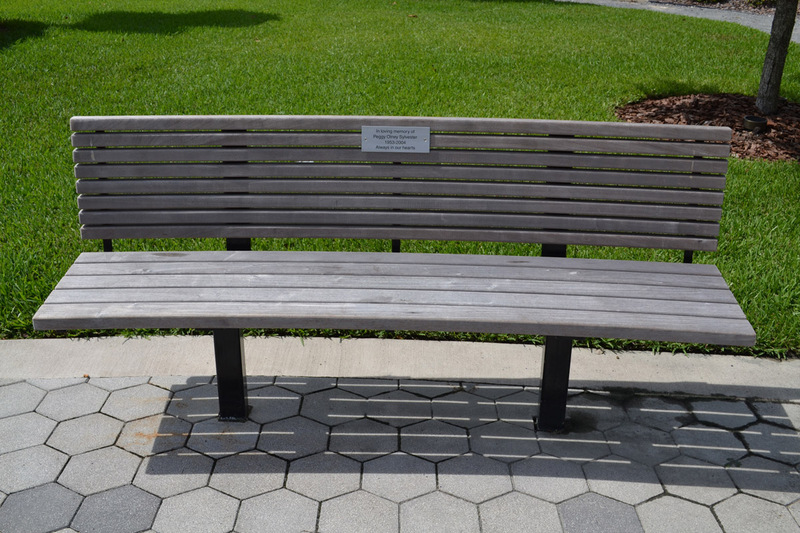 A bench in the garden, adorned with a plaque.